It’s scary to think of, I know, but making yourself more aware of the warning signs may help to save your loved one. 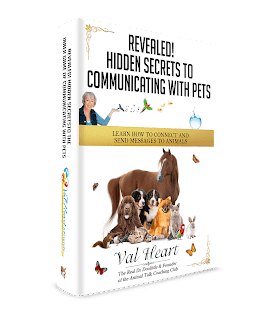 You should communicate with your pet and find out what’s wrong. Do you remember Percy’s story? That was a great example of you talking to your pet not only before, but during the process. Pay close attention to the 7 signs below to determine if your dog/cat may have cancer. Not all lumps and masses are cancerous, however, there are ways to knowing if the are. If you find that the lump/mass is growing fast, firm and not easy to move, then it’s most likely that it is cancerous. Cancer speeds up the metabolism in your dog or cat, which results in rapid weight loss. If by monitoring you do notice the difference in weight, then take your pet to have a veterinary exam and some blood work done. Cancer can affect multiple organs. When this happens, your pet may experience a loss in energy, discomfort and weakness in the body. You should know the eating habits of your pet. There are multiple reasons for a lack of appetite, such as dental disease and organ dysfunction; there’s always an underlying reason as to why your pet has lost his/her appetite. It may not be cancer related and it may be an oral tumor, which can cause your pet great discomfort to eat and swallow. The ability to not breathe properly is mostly due to heart disease, as it produces fluid in the lungs. However, cancer most often spreads to the lungs and causes deep, slow breathing, which makes this an important sign to watch out for. Bone cancer (osteosarcoma) produces swelling at the end of a long bone such as the femur on the back leg, or the radius on the front leg. It’s mostly common in medium to large breed dogs. Occasional limping is a typical sign of arthritis, but if it starts to progress and become painful, then it would be a good idea to take your dog for a bone cancer exam. If anyone should know your pet’s behavior, it’s you! You should notice the lack of eating, lack of energy, if he/she has been limping, or if there’s any strange cuts or lumps. All of these things should be spotted quite early if you always pay special attention to your pet. It’s always good to have your veterinarian check for cancer and any other underlying diseases because most times there’s a medical explanation. The 7 signs highlighted above are the most essential ones that you can look for in your dog or cat. However, because there are various types of cancer, from lymphosarcoma, to mast cell tumors, to spleen tumors, there is not one specific sign. If you notice any of those signs in your pets, then a thorough veterinary exam is recommend along with any potential diagnostic tests, to check for any other serious underlying disease.